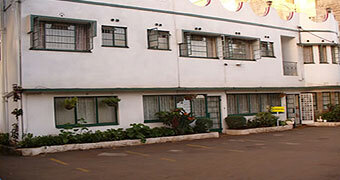 Azee Guest House is in the suburb of Parklands and is near to High ridge shopping centre. Accommodation. Azee guest house Nairobi is situated in the heart of parklands, walking distance from the Aga Khan University Hospital Nairobi, Darkhana, Nakumatt High Ridge & ever popular Diamond Plaza. Airport transfer from Nairobi Jomo Kenyatta International airport or Wilson airport to Azee Guest House or transfer from Azee Guest House to Nairobi Jomo Kenyatta International airport or Wilson airport.